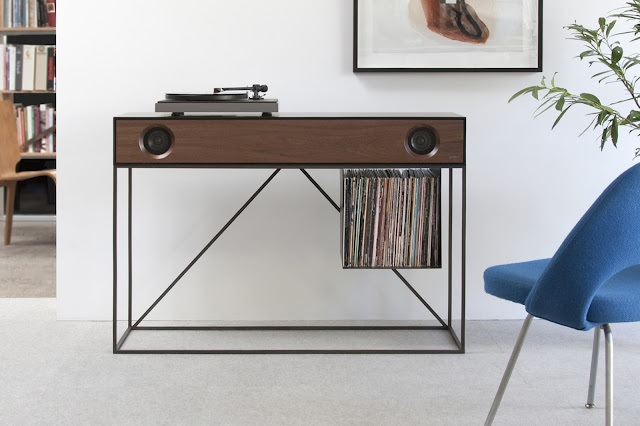 The New Stereo Console by Symbol Audio brings your music to life, no matter how you play it. 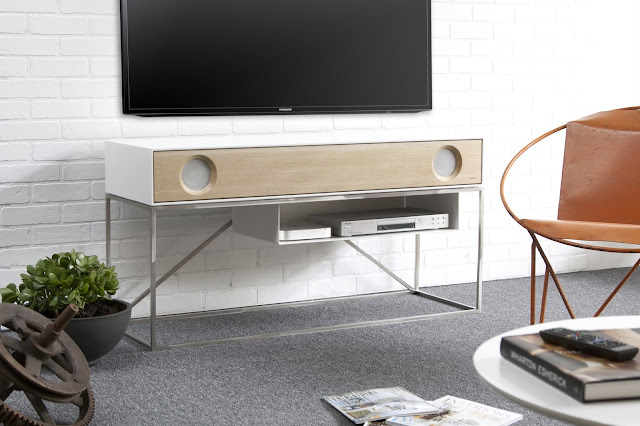 Connect up to three devices to the built in amplifier and enjoy the impressive soundstage while streaming audio via bluetooth, spinning records or even just watching some TV. The are some modular storage option for LP's and components that let you customize your console to fit your lifestyle. The LP bin (shown above) holds up to 100 records, and the console allows one to hang up to three bins. LP's not your thing, attach the component storage bin (see pic after the jump) and and hang your flat screen above and you have just installed the sickest home theatre. You can see and learn more here.